I'm not really into aliens and space and everything (which is why I haven't added a recent popular debut book to my to-read list, I can't get past the thing being set in space) and usually I don't try it. 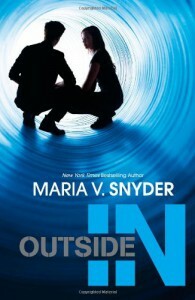 But Maria V. Snyder is one of my auto-read authors, as I've loved 2 of her series before, which is why I decided to read Inside Out (the first book in the series). And it didn't creep me out or trigger space-alerts (red flashing lights and all). I really, really enjoyed it. 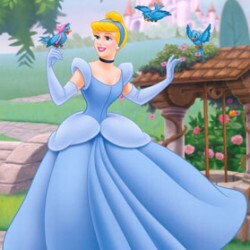 This one follows Trella after she managed to bring down the 'government' of Inside. Trella hadn't counted on everyone looking to her for guidance after it and doesn't really want the responsibility. She'd rather explore just how much of Inside they haven't seen yet and spend the rest of her free time kissing Riley. Of course the new board has got this down. It shouldn't be much of a shock that putting people in charge without resolving issues between the uppers and scrubs in any way doesn't really work out. So many books end after the rebellion, or shortly after it succeeded and we never get to find out what happens after. Well, this is what happens: there needs to be done something more than just overthrow the powers that be. Against the background of this struggle in the community, we also see Trella struggling with the knowledge of who her mother is and her relationship with Riley. She has a really hard time letting people in and that includes him, which of course frustrates him. And then there's the fact that someone from Outside hacked into the computer system and someone is sabotaging Inside from the inside (yes, I know). But who is it, and what do they want? Trella is desperate to find out before they shut down Inside through the network and has to crawl through the pipes yet again in order to do this. I enjoyed this one less than I did Inside Out. Which probably has to do with the creepy Outsiders that enter into this one. And the fact that there wasn't a lot of Riley in it. I love that guy, he's sweet and he's mostly right. He truly stands for what he believes in and I just adore him. Trella herself experiences a lot of character growth and I really enjoyed reading about her journey. She's a good person and a very loyal friend if you manage to actually befriend her. Towards the ending, the story felt a bit rushed, I was wondering how she would be able to wrap all of it up in the few pages that were left. It wasn't a bad ending, it was just a bit fast and I would have liked it to be a bit longer. It was pretty fast paced all around and while I do enjoy an action packed novel, I could have also used some time to catch my breath for a while. I do hope that for her next series Snyder returns to the fantasy genre, cause she does that so well. I've actually already added her newest project: Touch of Power, which sounds really interesting, to my to-read list. Goodreads says it will be released January 2012, so it's a long wait, but I bet it'll totally be worth it!